(KEITHLEY CREEK) They have come from all over the world and from all walks of life – just like they did 150 years ago. And on August 3, they’ll follow in the footsteps of the advance guard of the Cariboo Gold Rush. Some 10 living historians from the R.E. Living History Group will depart Keithley Creek near Williams Lake to tackle the 1861 Gold Rush Pack Trail. For three days, they’ll traverse the rugged route through alpine and sub-alpine terrain using period tents, food and equipment. What would possess a group that includes a Victoria restaurateur, a registered nurse from Nanaimo and an actor from Edinburgh to forsake all modern comforts for 40-plus kilometres of kilometres of hell on horseback, riding back into the past? kilometres of hell on horseback, riding back into the past? A chance to connect with living history and recreate daily life during one of the richest, wildest gold rushes ever to take place on the planet. “I am expecting to experience only a small glimpse of the hardships endured by the real characters we portray, but that should be enough for a saddle-sore modern office worker,” said Tim Watkins, a member of the R.E. Living History Group (RELHG). The RELHG is an informal group of history enthusiasts who use period clothing and equipment to bring B.C.’s Colonial era to life. Professionally, Watkins is a Maple Ridge lawyer, but his personal passion is for the history of Columbia Detachment of Royal Engineers, despatched to British Columbia in 1858. Like other members of the REHLG, he portrays members of the R.E.’s, who were commanded by Colonel Richard Clement Moody. He specializes in grizzled enlisted men like R.E. Sgt. James Lindsay. 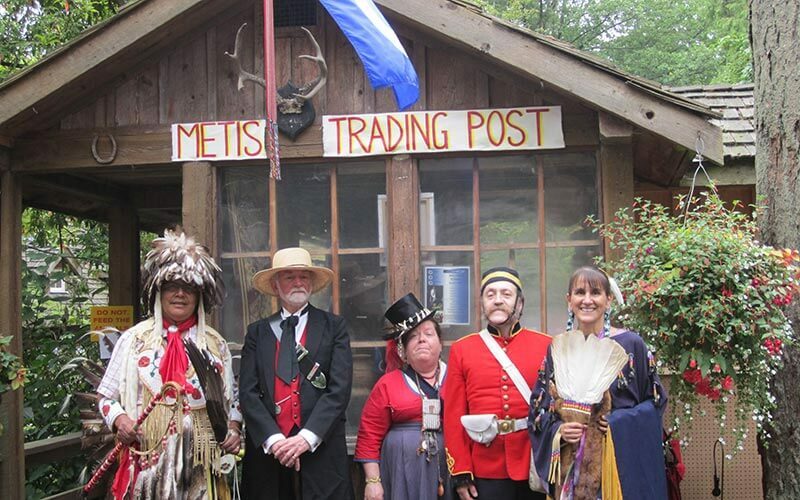 Watkins and his fellow living historians will travel a route blazed in 1860 by Doc Keithley, who hiked over the Cariboo Mountains to find the golden motherlode near Barkerville. In the spring of 1861, over 1,200 miners followed in his steps. The chance to experience some of the lure and excitement of the gold fields – and the hardships 19th Century travellers faced in getting there – appeals to RELHG member Simon Sobolewski. “For all the books written about Barkerville and the gold rush, little is known of the details of daily life — of the common folk nor of the difficulties of actually getting there,” Sobolewski said. Sobolewski is one of the owners of the innovative and popular Red Fish Blue Fish restaurant in Victoria. He’s researched the Royal Engineers and other military subjects in archives both in Canada and the UK for over 20 years. Widely regarded as one of the finest living historians in Canada, he will portray the dashing Captain Harry Luard, R.E., on the ride. For Lisa Peppan, stepping back into time is an essential part of moving forward. “To know where we’re going, we must remember where we’ve been,” Peppan said. Peppan is a descendant of Hudson’s Bay Company employee Étienne Pépin, a Métis who came to work at Fort Langley on Christmas Eve 1827. Peppan is the brains behind the “Children of Fort Langley” website and reunions. Her composite character, Mary Huston, is based on her own family history and is a highlight of historical re-enactments across the Pacific Northwest. Other living historians along for the ride include Gord MacIntosh, a registered nurse from Nanaimo, and his 17-year-old son Jesse, who will portray the Royal Engineers’ young bugler, William Butler, who came to B.C. at that same age. Also participating are David “Scruffy” Funk (an actor and carpenter from Burnaby who portrays Dr. David Lyall, Royal Navy surgeon) and John Harper, an actor from Edinburgh, who will recreate R.E. surgeon Dr. John Seddall. Karen Haas is a professional storyteller and historic interpreter based in Tacoma, where she and husband Patrick are volunteers at Fort Nisqually Historic Site. Judy Anderson from Quesnel will portray Mary Moody, the influential wife of the Royal Engineers’ commanding officer. She is the inspiration and organizer of the upcoming ride. The 1861 Gold Rush Pack Trail Ride is a partnership between the New Pathways to Gold Society, Barkerville Historic Town, RELHG, Aboriginal Tourism B.C. and the District of Wells.